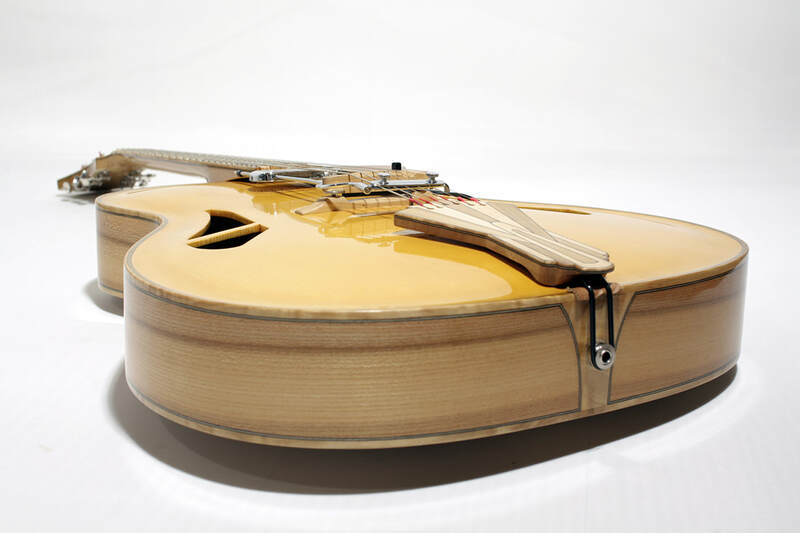 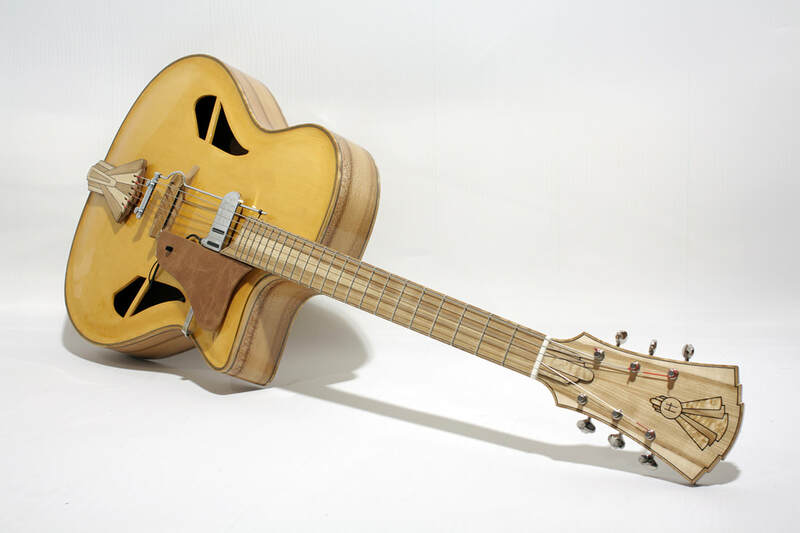 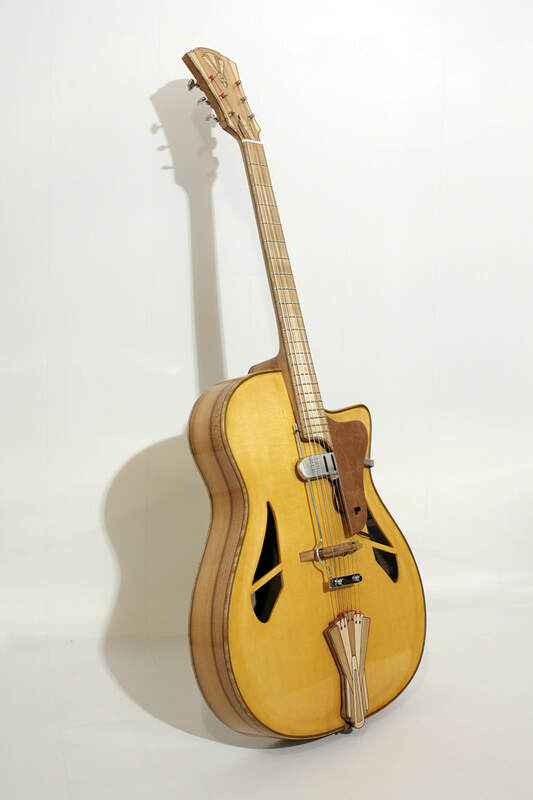 This art deco themed 18” archtop guitar is made using solely domestic high quality woods such as elm, spruce and mountain ash. 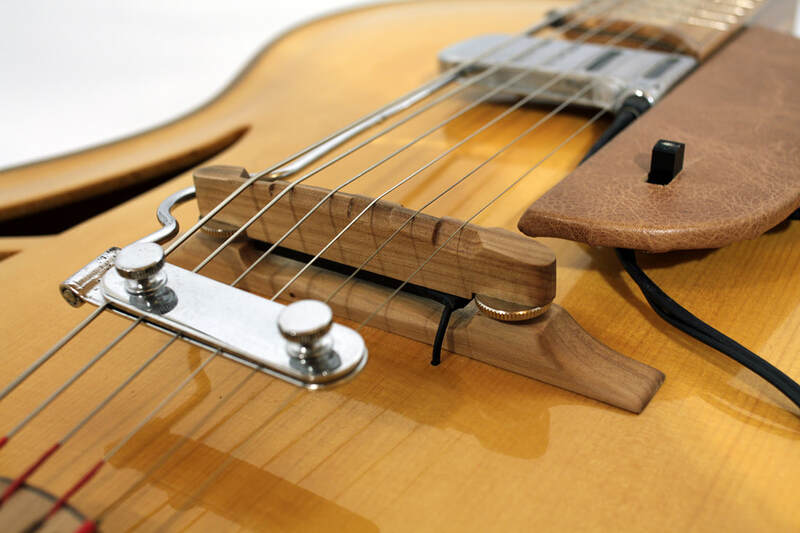 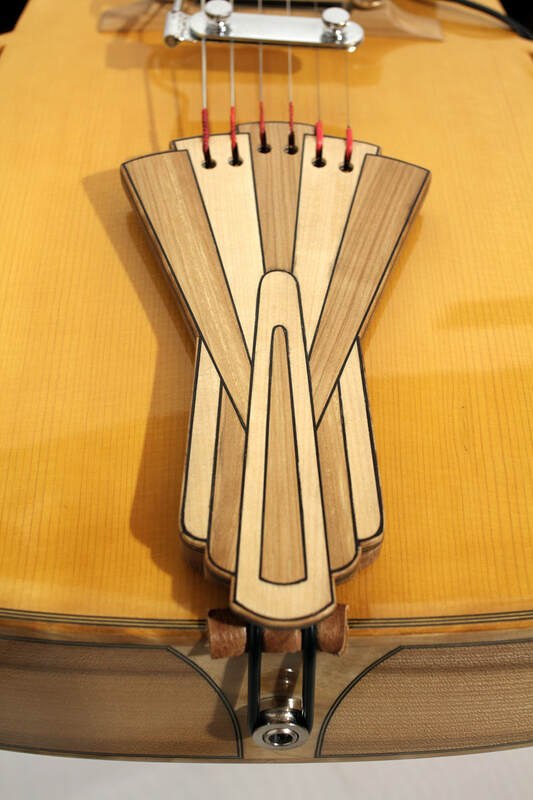 Additional materials include leather for the pickguard and flame birch for the bindings and inlays. 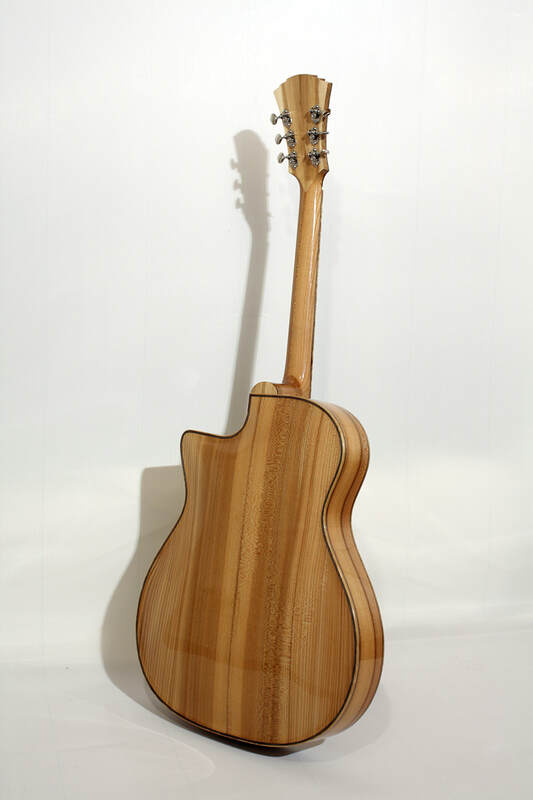 The top is french polished in order to maintain it as responsive as possible while the rest of the instrument is covered with nitrocellulose. 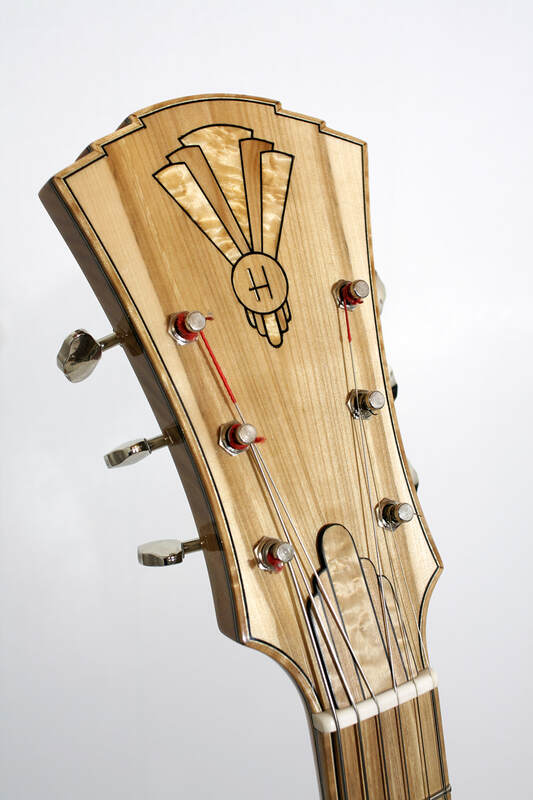 Elmer is wired up with a Schatten At-04 piezo pickup and a vintage DeArmond FHC-pickup.